These days, authors are responsible for not only writing a book, but for proving to a publisher that they have an audience to buy the book. Or, if you’re going the self-publishing route, you want to have a devoted following before your book hits the shelves. 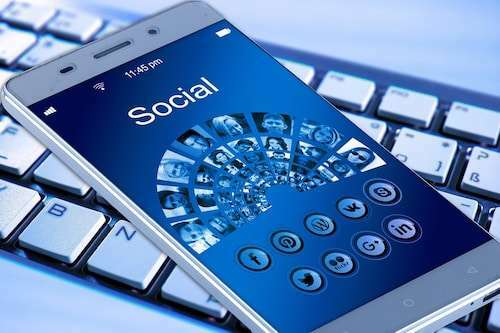 Social media offers you a platform to introduce yourself to anyone out there scrolling through their feeds. 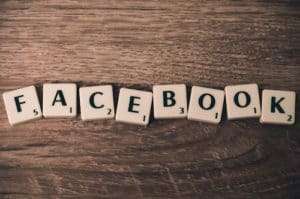 Sharing your interests, your passions–yourself–on Facebook and other platforms will build a group of people who will want to buy your book. Finding sharable social media content that is authentic to who you are takes time, time you don’t have while you’re finishing up your book! We specialize in stepping into your shoes, learning your voice, your interests, your pet passions, and creating content that reflects YOU. With your input, we find articles, news, and blogs about topics that both reflects who you are as a person and connects directly to potential readers. We create beautiful images to share, using quotations from you and well-known individuals to attract attention to your social media platform. Our process is iterative; we do the research, the content creation, and the posting once you’ve approved it. You watch your audience grow. 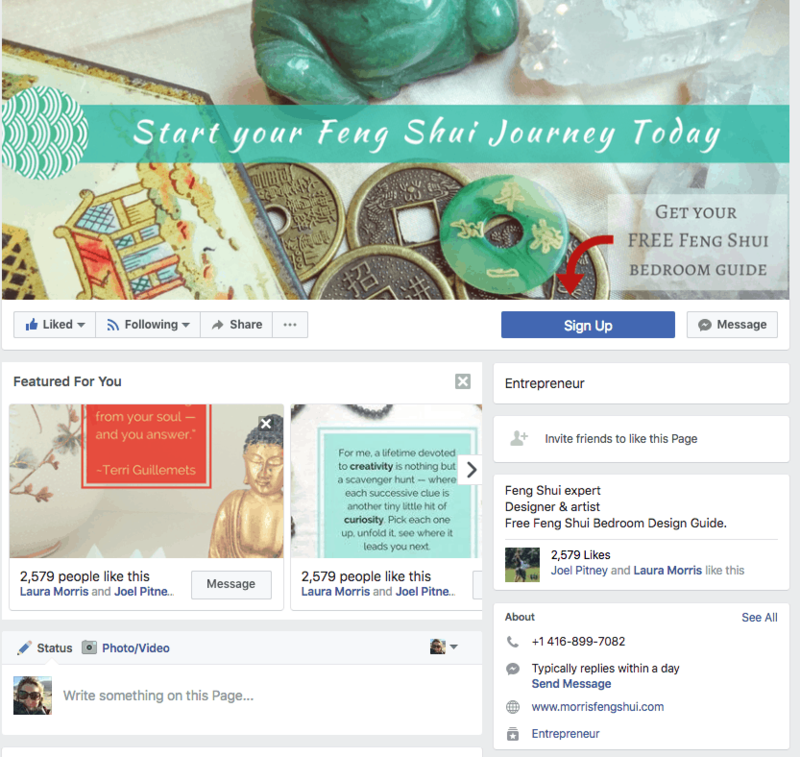 Facebook Page – We will advise you on creating a professional Facebook page if you don’t already have one, and we will create a header image if you need it. Page Like Campaign – Through paid Page Like advertising, we will build your fanbase. We will create the ads for you. 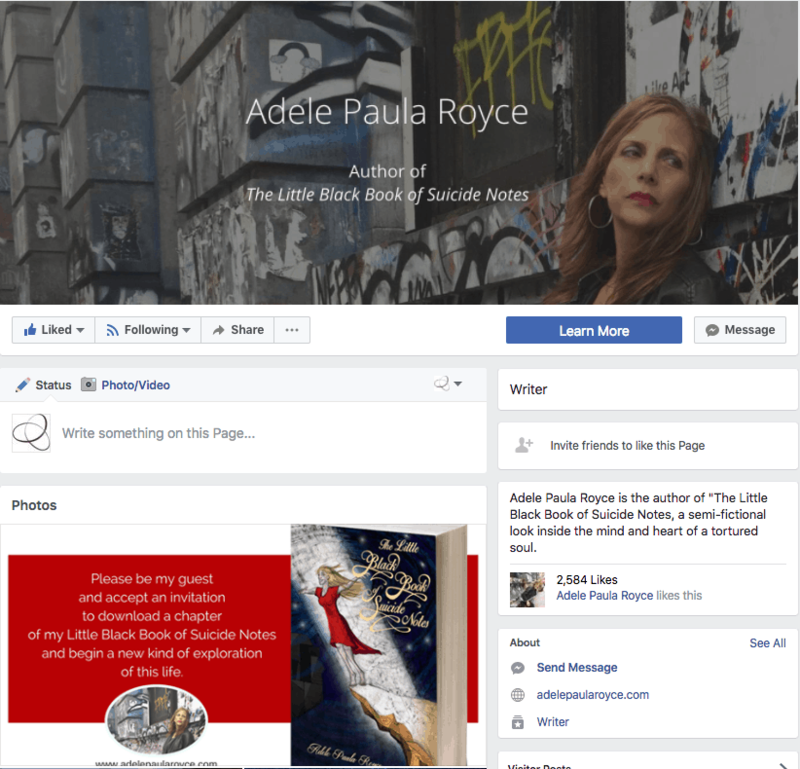 Book Ads – We will create a strategy and design ads for your book that will post on Facebook, Instagram, and the web. LinkedIn is a platform that works especially well for nonfiction books with themes that would appeal to a business audience. 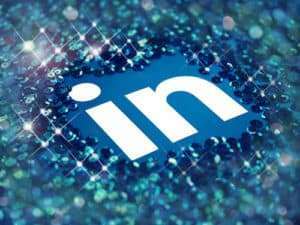 For an additional fee, we will add LinkedIn into our social media strategy for building your fanbase. Over the course of our campaign with Adele, we’ve seen her audience engage more regularly with the daily content we post on her behalf. We choose articles and blogs on third-party sites on topics related to the theme of her book (suicide prevention, spirituality, empowerment, mental health) and create image quotes that resonate with her message. Her posts have received over 13,000 reactions, comments, and shares. 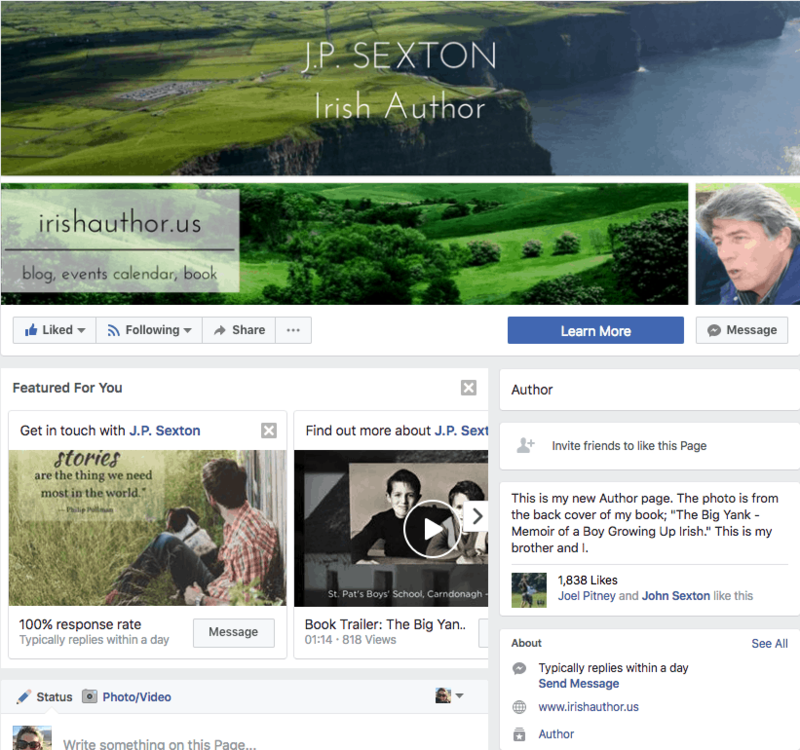 J.P. Sexton is an Irish author, and the potential audience for his memoir was very specific. 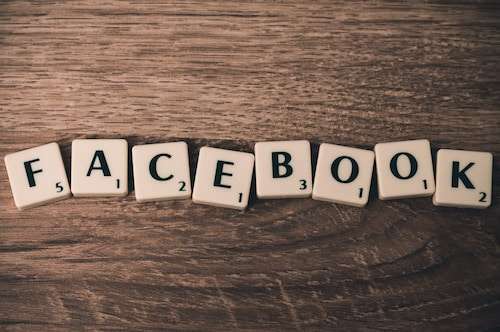 Facebook makes it easy to create ads and “boost” your content to other Facebook users who might share your interests. 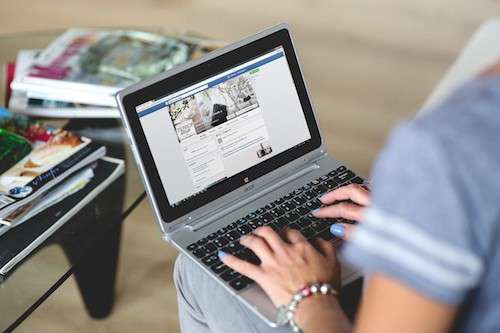 After we’ve read a client’s book and have clarified campaign objectives, we promote the author’s Facebook content to people based on their interests, geography, age, and more. For J.P., we found success immediately, and his fanbase quickly grew. Laura Morris was already an active Facebook marketer when we began working on the social media campaign for her upcoming book. She had an established fanbase in an “exclusive” Facebook Group, the audience most likely to buy her book once it was released. 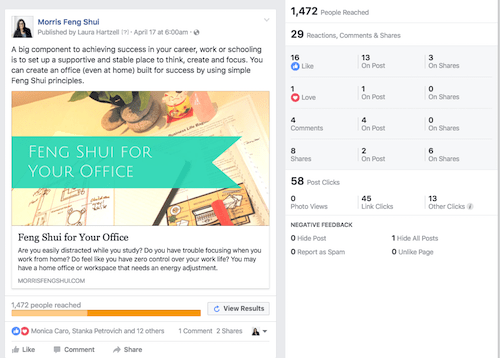 We helped her build traffic to her public Facebook page and collaborated on strategies to convert the public fans into the “exclusive” group. 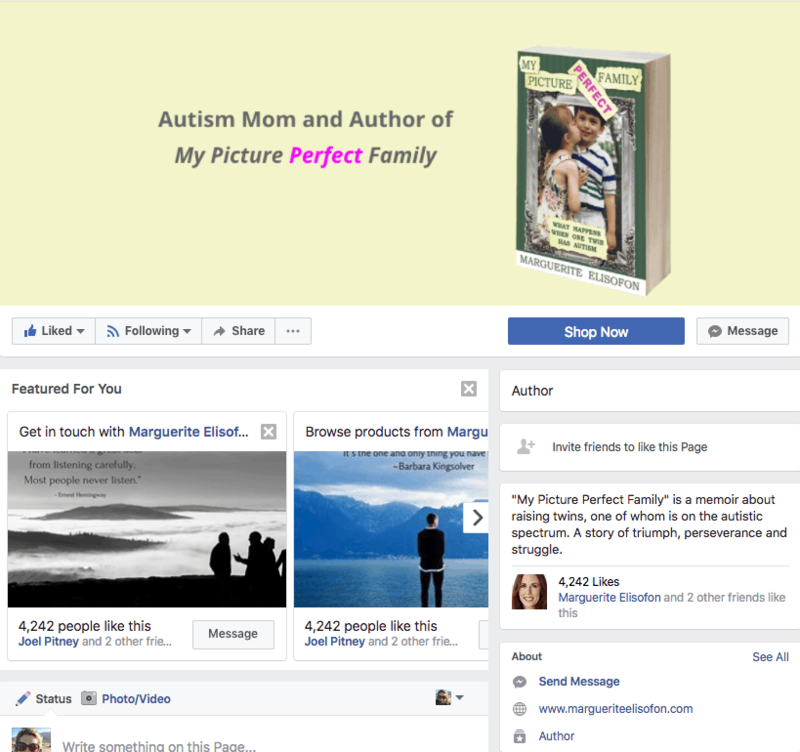 We built Marguerite’s social media campaign for several months leading up to her book launch. The mother of twins, Marguerite launched a book about her experience raising them, one of whom is on the Autism Spectrum. She is a passionate advocate for young adults on the spectrum (her daughter is now a college graduate) and her Facebook feed reflects that. 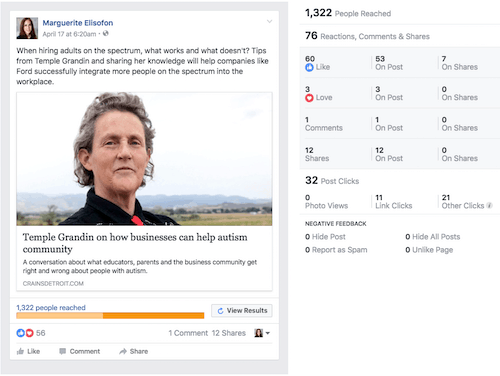 Finding the audience for her book was facilitated by Facebook’s advertising tools, allowing us to identify people who share an interest in Autism. 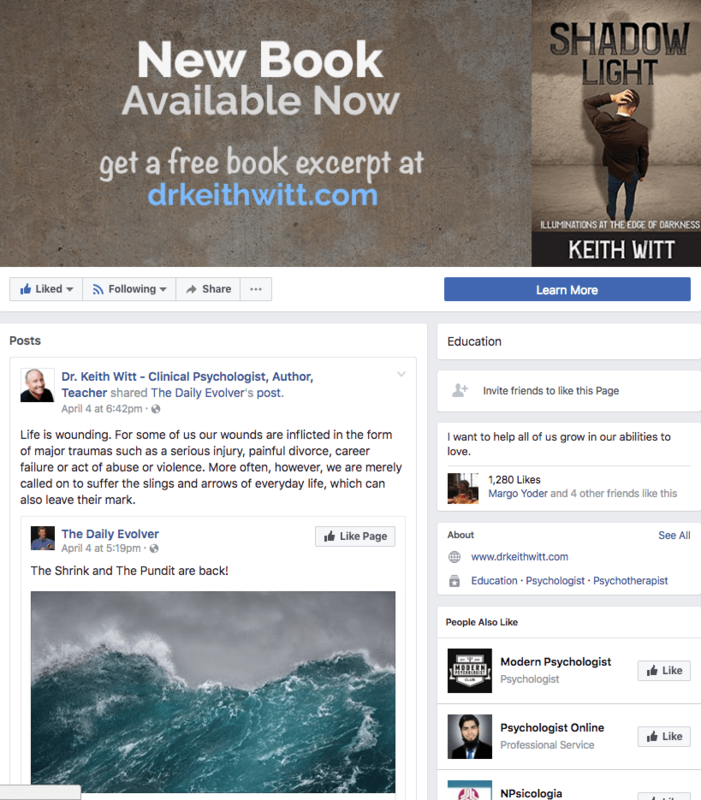 Keith Witt needed a social media campaign for the few months immediately following his book launch. Keith was a prolific writer, so we focused his campaign on his original content–blogs and videos he produced weekly. Because his book was written for a niche audience, we focused our social media campaign on material that would appeal to a broad audience. 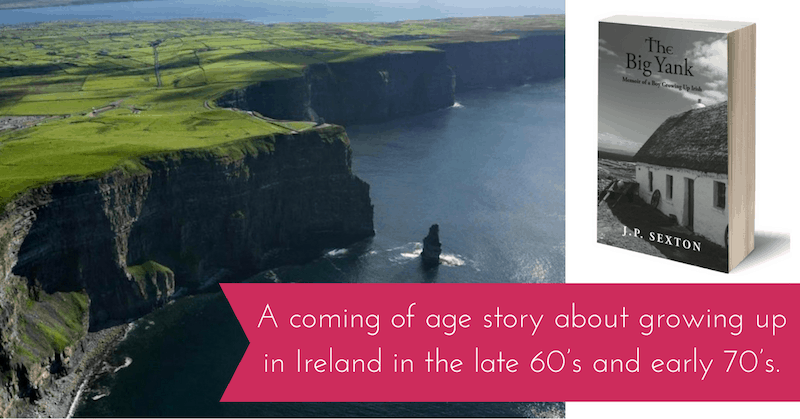 Ginny’s book will be released in early fall 2017. Her social media campaign is just getting underway and is building at an expected rate with a medium-to-low cost per fan. 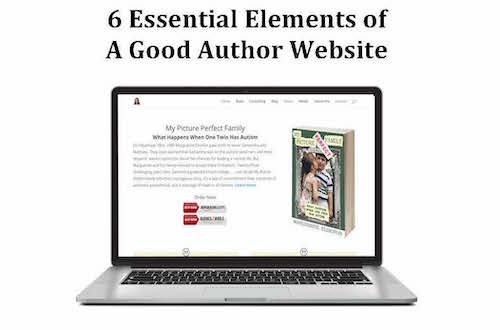 It is ideal to spend less than $1/Page Fan, and our authors tend to average $0.60/Page Fan. We recommend authors post at least two “image quotes” per week. This is an example of one we created for a client, and it received 300 reactions, comments, and shares on Facebook. 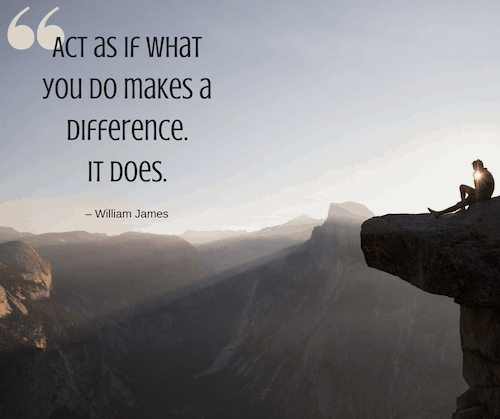 (Generally speaking, most of our image quotes receive an average of 100-200 engagements.) 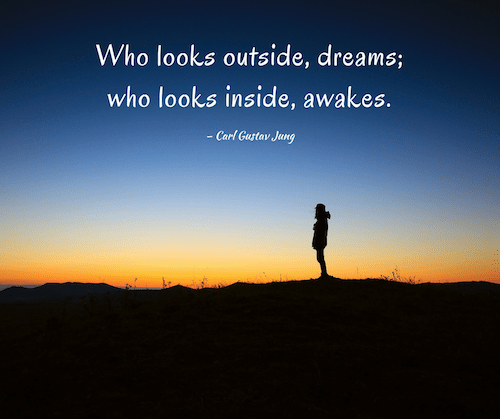 Image quotes are powerful tools for attracting people who might be interested in the topic of your book. Inspiring quotations and beautiful imagery about ideas, values, and themes that are important to you, and that are consistent with your book’s theme, attract potential readers of your book! When they see images or quotations that inspire them, they tend to share them with their friends, and also “Like” your page. Our client, author Marguerite Elisofon, wrote a book about raising her daughter Samantha, who is living on the Autism spectrum. This post is an example of a third-party article about the topic of Autism that she shared on Facebook. This article received 76 reactions, comments, and shares. 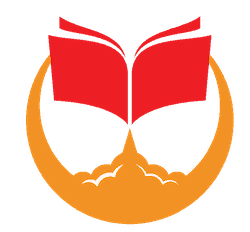 Once we have grown a fanbase over 1,000-2,000 followers to an author’s Facebook page, we will start putting some advertising money towards selling books. These ads target a similar audience to the fanbase, but direct people to online stores such as Amazon, Barnes and Noble, or to your website (if you sell books through your online store). Some of our authors write weekly blogs, but not all of them do. We will create original content for you (for an extra fee) to post on your website. 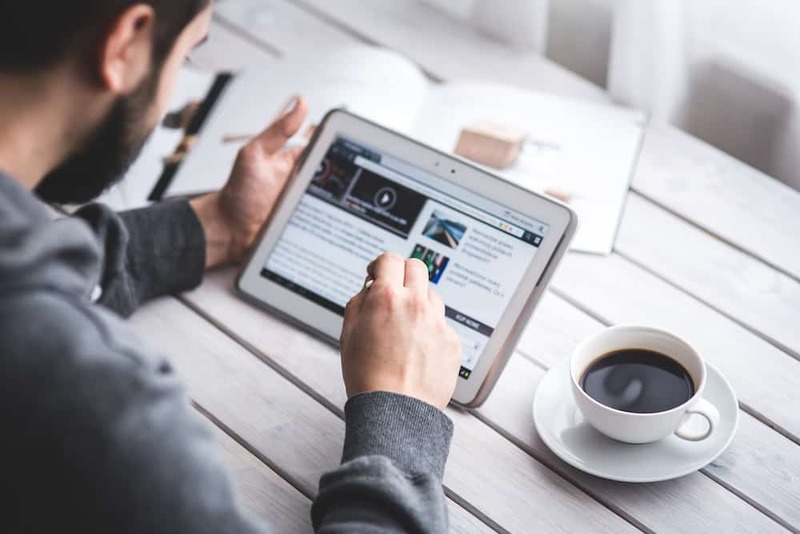 When possible, we’ll shop the blog to third-party websites first in an effort to publish your article there first. Once it’s live, we announce it on Facebook to your audience. 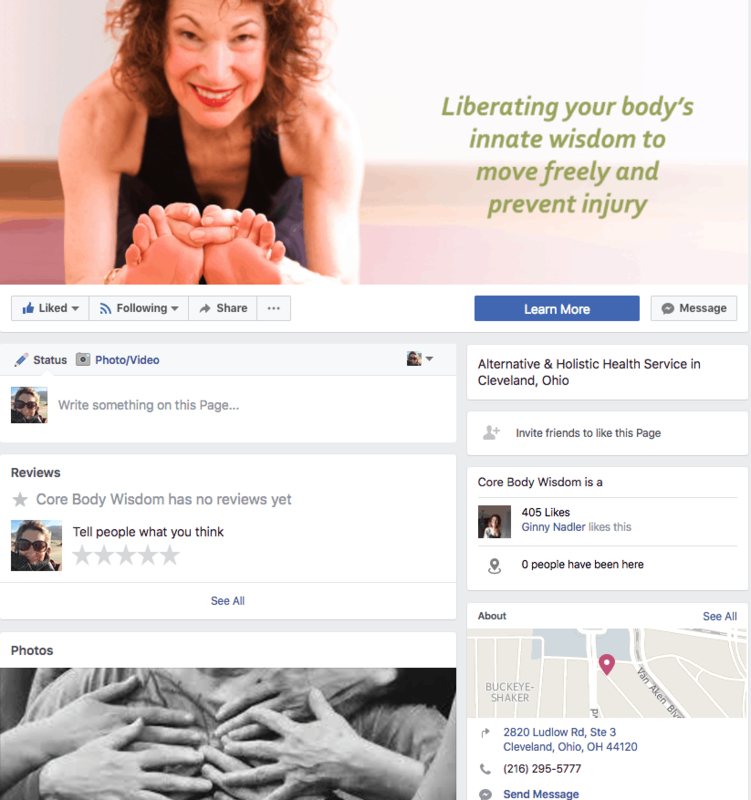 This was a popular post by our client Laura Morris.